Complete Eye Care has the Friendliness staff that we have dealt with in our many of years of seeing specialist with my special needs son. Dr Gesford is very attentive and kind and took her time with my son and with us explaining her findings, treatments and all of our options. 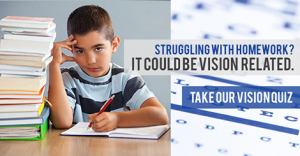 We are very satisfied with his results from vision therapy and would highly recommend them for this treatment! !